What if you could hear the voice of God? What if you actually saw his face? That is the quest of two mean with opposite faiths . . . Read by Bill Myers. THE PASTOR His wife of twenty-three years has been murdered. His faith in God is crumbling before is very eyes. Now, with his estranged son, he sets out to find the supernatural stones spoken of in the Bible. Stones that will enable the two of them to hear the audible voice of God. Stones that may rekindle their dying faith and love. THE TERRORIST He has also learned of the stones. He too must find them---but for much darker reasons. As the mastermind of a deadly plot that will soon kill millions, he has had a series of dreams that instruct him to first find the stones. Everything else is in place. The wrath of Allah is poised and ready to be unleashed. All that remains is for him to obtain the stones. With the lives of millions hanging in the balance, the opposing faiths of these two men collide in an unforgettable showdown. 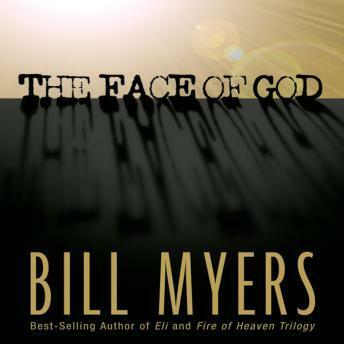 The Face of God is another thrilling and thought provoking novel by a master of the heart and suspense, Bill Myers.